Los Angeles police responded to a triple shooting in the 7100 block of 10th Avenue in Hyde Park on Wednesday, Jan. 13, 2016. 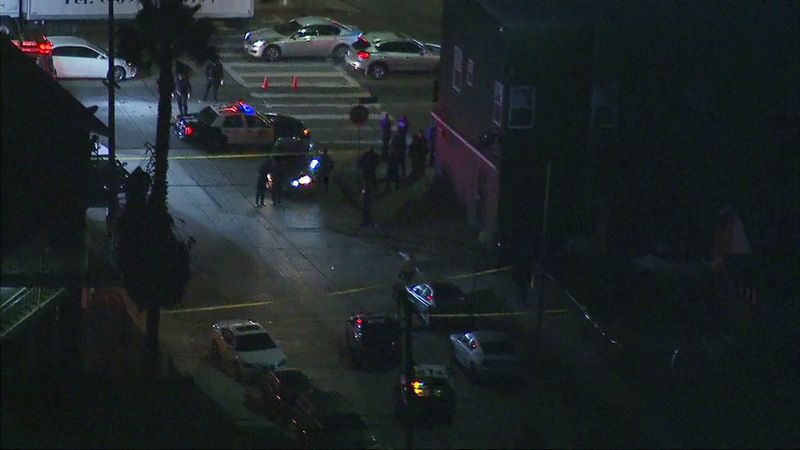 HYDE PARK, LOS ANGELES (KABC) -- Three people were rushed to the hospital after a shooting in Hyde Park on Wednesday. The Los Angeles police said a suspect vehicle fled the scene. There was a heavy police presence in the 7100 block of 10th Avenue.